1st February 2013. February Membership Discount; Storewide Sale; Australia's 50 best camp spots; New products; Super Specials. 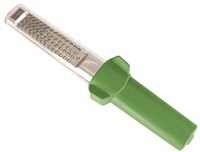 As a registered user of ExplorOz.com we have a special offer for you in this edition of our fortnightly e-newsletter. Firstly, you need to know whether you are a Member or a Visitor. If you are a Member then go ahead and take advantage of our advertised Members Only special shown in this newsletter. (only valid for 1 week). If you are a Visitor, then upgrade to 12 months of Personal Membership during February and pay only $29.95 - you'll save $20. Offer expires midnight EST 28/2/13. ExplorOz Membership is specifically designed to give people like you a huge advantage when planning trips. Save money by downloading all the GPS data you need in one click (Route, Treks, POIs) - free! Never pay full price again in the ExplorOz Shop! 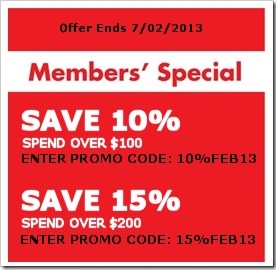 With your Member discount you receive a minimum of 5% off store-wide everyday, plus extra discounts when advertised. You'll also save on postage - all Members' orders over $125 are postage-free (overnight delivery). When you have gear to sell, do it in the ExplorOz Classifieds. Members Display Ads are free (non-members pay $19.95). You can even upgrade to Premium and only pay $10 (non-members pay $29.95). Enjoy the advantages of online tracking with EOTrackMe - a free service for Members supporting a wide range of GPS and satellite devices. Write & publish your own Blogs and reach an instant audience with minimal effort and no complications. Optional sharing to social networks can be activated via your existing profiles. Access unique discounts from companies Australia-wide as advertised in the Member Rewards page. Do you have a favourite camping spot? A place that is so special you can’t wait to return there year after year? 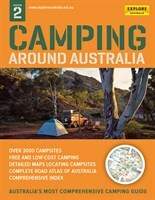 To celebrate the release of Camping Around Australia (2nd ed), Explore Australia is on the hunt to find Australia’s best campsites. Our new book covers 3000 camping areas ranging from dog-friendly coastal sites to isolated bush camping spots, so we need your help to narrow down the 50 best campsites around the country. The Members Trips and Gatherings section of the ExplorOz website allows Members to list, promote and register attendees for group Trips/Gatherings. Listed events are auto-posted in the Forum to promote it. Interested attendees simply add their name to the event page, which gives the organising Member the ability to communicate with the group about the plans. If anyone is keen to list a 2013 National Gathering please go ahead. All gathering organisers are encouraged to contact us for use of a site banner, and we will always try to help out with ideas, prizes, etc. With over 500 new campsites, order the brand new 2nd Edition (Spiral Bound) here. View the full Versa-Lite range & accessories here.